In each session, Tracey aims to be empathetic, positive, and supportive. This approach has been very effective while working with a variety of people with diverse needs. She has experience treating anxiety, depression, eating disorders, and suicidality. Tracey has experience working with families, children, parents, couples, individuals, and groups. She also specializes in therapy for survivors of trauma, abuse, relationship challenges, and assisting individuals in navigating life transitions. Tracey is a skillful addictions counselor, and is certified as an Advanced Alcohol Drug Counselor. 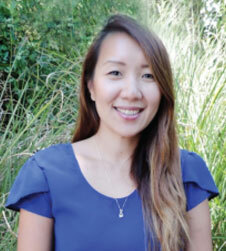 Mrs. Lee is also a Distance Certified Counselor, and is proficient in telehealth based therapy. Her professional experience coupled with her advanced training makes her a well-matched therapist for any potential client, and a competent supervisor for individuals completing their hours towards licensure. She also supervises providers who are going through residency. Given that she works with a vast range of clients, Tracey employs different approaches and techniques in order to implement the best treatment. She treats from a Solution-Focused paradigm with Psychodynamic and Cognitive-Behavioral (CBT) techniques. She also implements the use of Play and Art Therapy. Tracey believes that in order to best treat the presenting problem, the counselor and client must take a holistic approach to work on skills that assist the client in trending toward overall wellness. She believes that the focus on the health of both the mind and body is the key to sustained mental health. In her free time, Tracey enjoys spending time with her husband and daughter, and being active outdoors, especially in the warmer months.